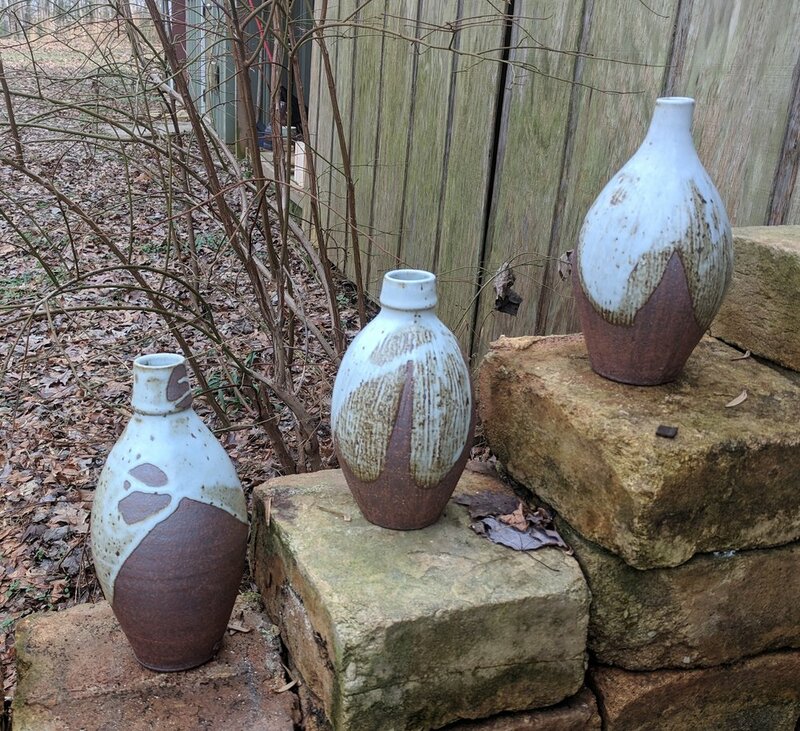 Several years after moving to Seagrove in 1990, I joined up with other potters in hosting area wide kiln openings, which morphed into the Annual Celebration of Spring. This year's event will be held on Saturday the 27th and Sunday the 28th. My good friend, Lanny Pelletier, will be joining Jane and me in our studio at 1480 Fork Creek Mill Road. Additionally, Carolina Bronze will be celebrating the 5th Annual International Sculpture Day on Saturday the 27th at their new space in the historic Luck's Cannery on Hwy 705. A beer truck and food truck will be onsite. We will be open rain or shine, 10:00 – 5:00 both days. Come join us for light refreshments. We look forward to seeing you. 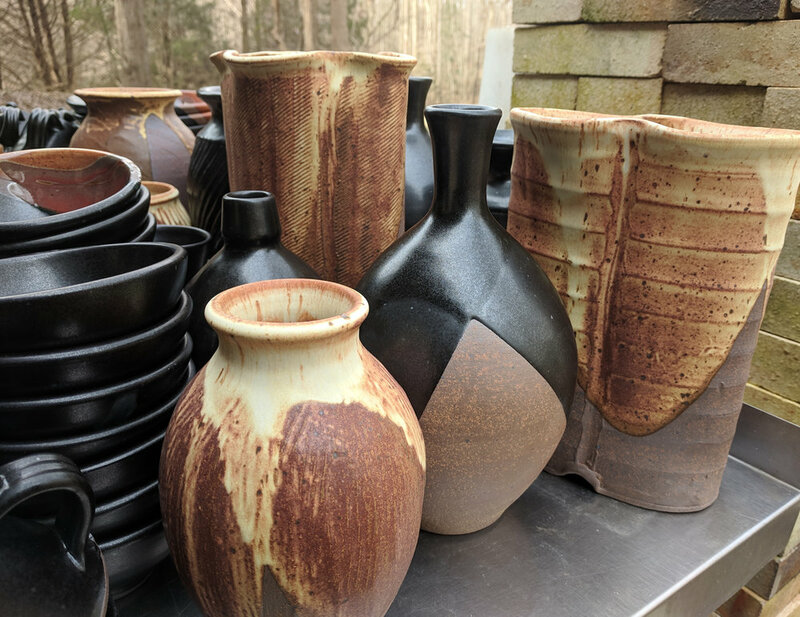 I spent New Year’s Eve firing Little Bertha and January 2nd unloading all the fired pots. 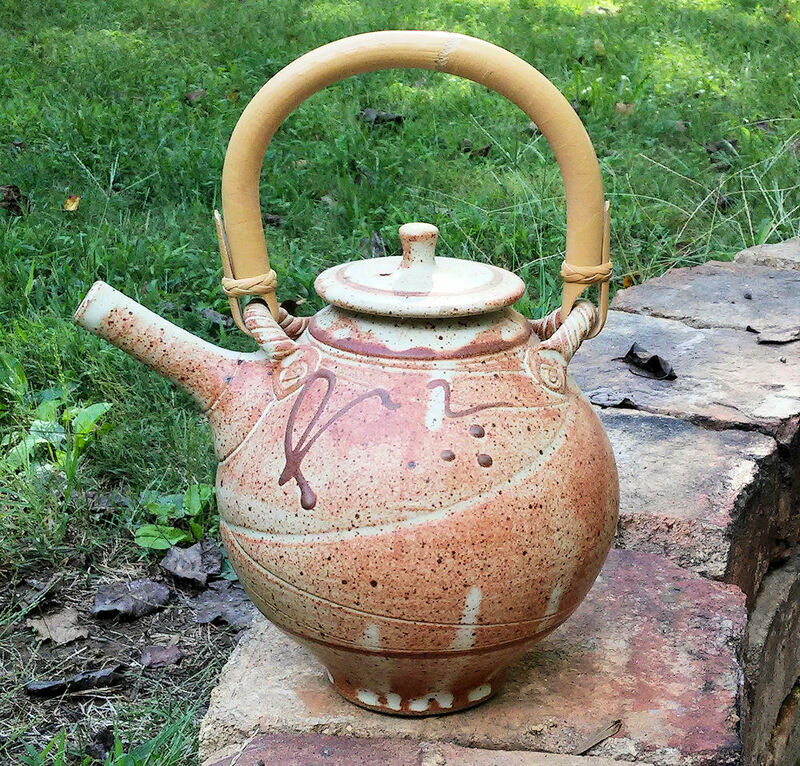 This was the 5th time I fired the kiln and it was by far the best. It still has some bugs, but then every new kiln takes time to figure out. I’m looking forward to the quicker turnarounds this smaller kiln offers. BTW, all the little cups are either test glazes or old glazes I have yet to document. It was a very successful firing overall, and the tests provided new insight.